New Zealand. The Paris Motor Show later this month will see Porsche unveil the fourth model in the Panamera range: the Panamera 4 E-Hybrid with controlled all-wheel drive and an electric range of up to 50 kilometres. The new Panamera 4 E-Hybrid generates some 340 kW (462 hp) of system power and delivers fuel consumption figures of 2.5 L/100 km in the New European Driving Cycle (NEDC) for plug-in hybrid models. That corresponds to CO2 emissions of 56 g/km. The Panamera 4 E-Hybrid is available to order now, with prices starting at $225,800. At Porsche, the term “hybrid” is synonymous with not only sustainable mobility, but performance too – a fact proven not least by the victory of the 919 Hybrid in the 24 Hours of Le Mans in 2015 and 2016. This philosophy is now also defining the Panamera 4 E-Hybrid. The new Porsche plug-in hybrid always starts in purely electric mode and continues as a zero- emission vehicle up to a range of 50 kilometres and a maximum speed of 140 km/h. And yet this Panamera too is a sports car among the luxury saloons: The all-wheel Porsche achieves a top speed of 278 km/h and delivers a system torque of 700 Nm from stationary without hesitation. The four-door hybrid sports car breaks the 100 km/h barrier in just 4.6 seconds. The torque is transferred to all four wheels and the standard three-chamber air suspension ensures an optimum balance between comfort and dynamism at all times. The superlative performance is no fluke: The new Panamera 4 E-Hybrid features a hybrid strategy never before seen in this segment – a strategy based on the 918 Spyder. The 652 kW (887 hp) 918 Spyder is the fastest series-produced vehicle ever to lap the Nürburgring Nordschleife. Its record time of 6 min 57 secs can in part be attributed to the additional power provided by two electric motors. As with the 918 Spyder, the power of the Panamera electric motor – 100 kW (136 hp) and 400 Nm torque – is made available as soon as the driver touches the accelerator pedal. On the predecessor model, the pedal needed to be pressed at least 80 per cent of the way down to unleash the additional power of the electric drive. Now, the electric motor and petrol engine interact in perfect harmony from the very outset. Like with the 918 Spyder, the electric motor is available to deliver additional power at all times. 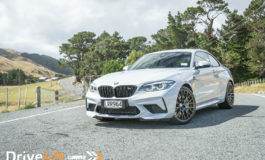 This, together with the performance characteristics of the new 2.9-litre V6 biturbo engine (243 kW and 450 Nm), generates an impressive boost scenario based on electric motor and turbochargers. 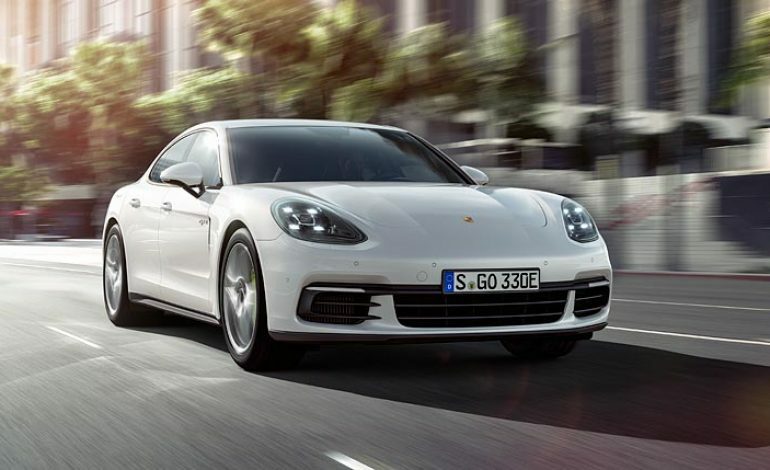 In the Panamera 4 E-Hybrid, the electrical energy is also used to increase the car’s top speed. 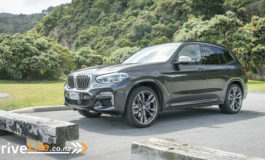 At Por- sche, this new type of “E-Performance” – more power, more driving fun, lower fuel consumption – is seen as the performance path of the future. Together with the V6 petrol engine decoupler, the electric motor heralds the new generation of the Porsche hybrid module. 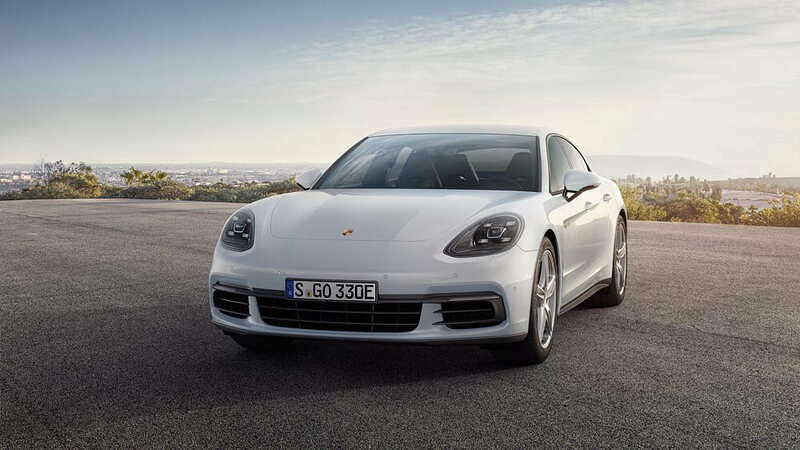 In contrast to the electro-hydraulic system of the predecessor model, the de- coupler on the new Panamera is actuated electromechanically by an electric clutch actuator (ECA), resulting in even shorter response times. As on the other second-generation Panamera models, a new, extremely fast and efficient-shifting Por- sche eight-speed Doppelkupplung (PDK) transmission is used to transmit the power to the all-wheel drive. This transmission replaces the eight-speed automatic torque converter transmission on the pre- decessor model. The electric motor is supplied with power via a liquid-cooled lithium-ion battery. And despite the fact that the energy content of the battery (which is integrated under the luggage compartment floor) has been increased from 9.4 to 14.1 kWh, its weight has remained the same. The high-voltage battery takes just 5.8 hours to fully charge via a 230-V, 10-A connection. If the driver chooses to use the op- tional 7.2 kW on-board charger and a 230-V, 32-A connection instead of the standard 3.6-kW charger on the Panamera, the battery fully charges in just 3.6 hours. The charging process can also be started using a timer via Porsche Communication Management (PCM). Moreover, the Panamera 4 E-Hybrid is fitted as standard with auxiliary air conditioning to cool or heat the passenger compartment during charging. One highlight of the second-generation Panamera is the newly designed display and control concept in the form of the standard Porsche Advanced Cockpit with touch-sensitive panels and individually configurable displays. Two seven-inch screens either side of the analogue rev counter form the interactive cockpit, and, in contrast to the other versions in the range, the Panamera 4 E-Hybrid features a power meter tailored to hybrid operation. The intuitive operating principle of the hybrid-specific displays is similar to that used in the Porsche 918 Spyder super sportscar. The power meter provides data such as the amount of electrical energy currently being used as well as that recovered through recuperation. The Sport Chrono Package including the mode switch integrated into the steering wheel forms part of the standard equipment on the Panamera 4 E-Hybrid. 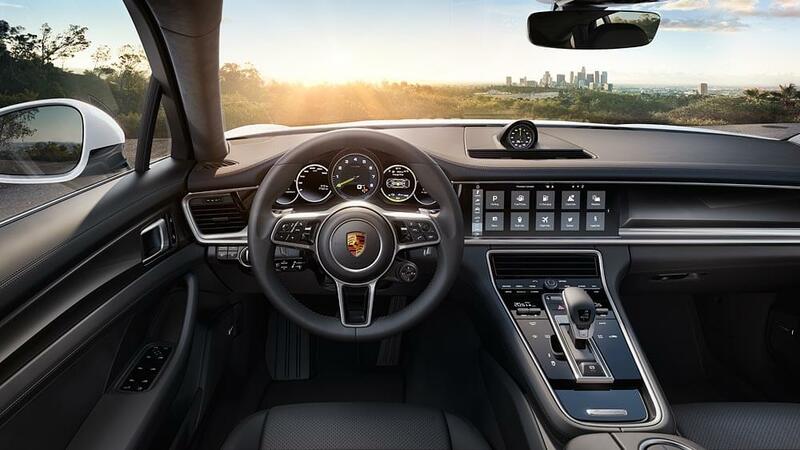 The mode switch and Porsche Communication Management are used to activate the various driving modes. These modes include the familiar “Sport” and “Sport Plus” modes from the other Panamera models equipped with the Sport Chrono Package. The hybrid-specific modes are “E-Power”, “Hybrid Auto”, “E-Hold” and “E-Charge”. The Panamera 4 E-Hybrid always starts in the purely electric “E-Power” mode. The “Hybrid Auto” mode is a completely new development. 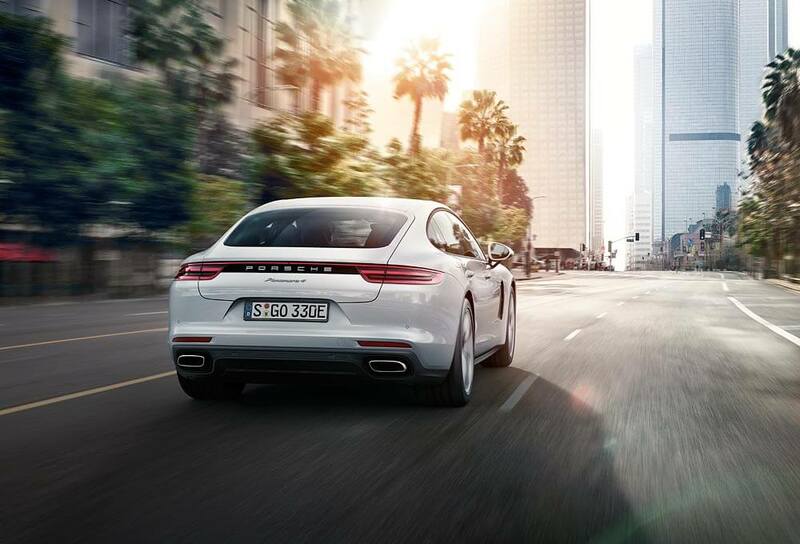 When this mode is selected, the Panamera changes and combines the drive sources automatically for ultimate efficiency. The “E-Hold” mode allows drivers to consciously conserve the current state of charge to enable them to switch to electric and therefore zero-emissions mode in an environmental zone at their destination, for example. 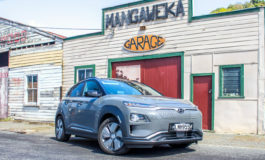 In “E-Charge” mode, the battery is charged by the V6 engine; to achieve this, the petrol engine generates a higher level of power than is actually needed for driving. The highest level of drive performance is made available in the “Sport” and “Sport Plus” modes. The V6 biturbo engine is active continuously in these modes. In “Sport” mode, the battery charge is always maintained at a minimum level to ensure there are sufficient e-boost reserve capacities when needed. “Sport Plus” mode is all about maximum performance and allows the Panamera to reach its top speed of 278 km/h. This mode also recharges the battery as quickly as possible with the help of the V6 bi- turbo engine. 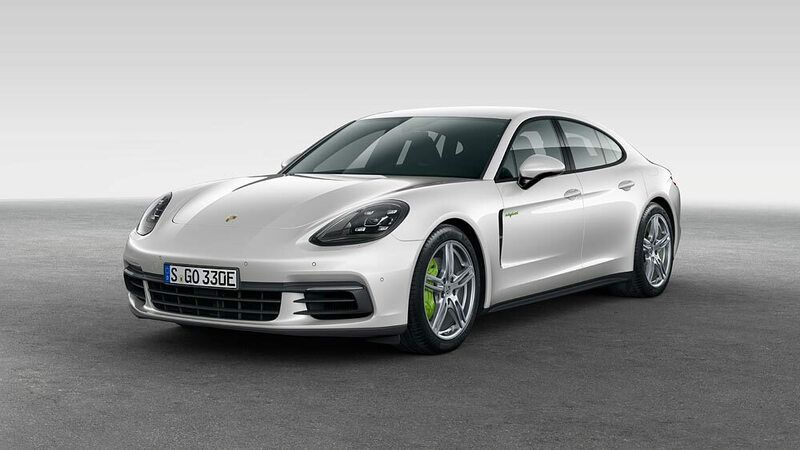 In New Zealand the Panamera 4 E-Hybrid starts from $225,800 with deliveries expected from mid- 2017. 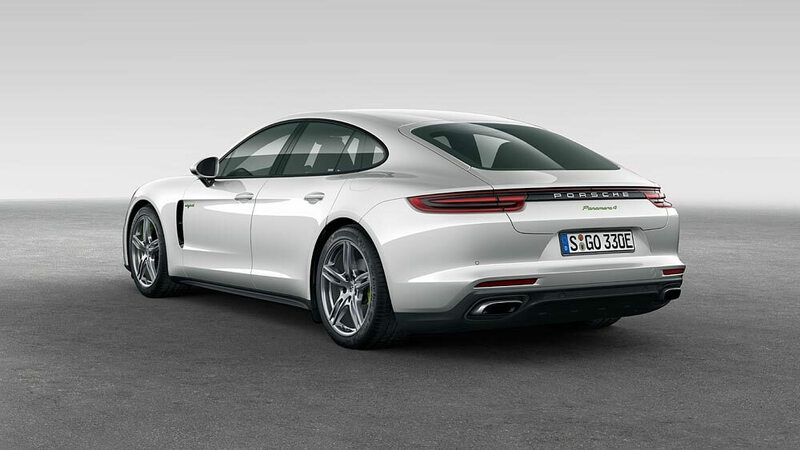 The plug-in hybrid version is the fourth model in the new Porsche Panamera range; all models are all- wheel drive. 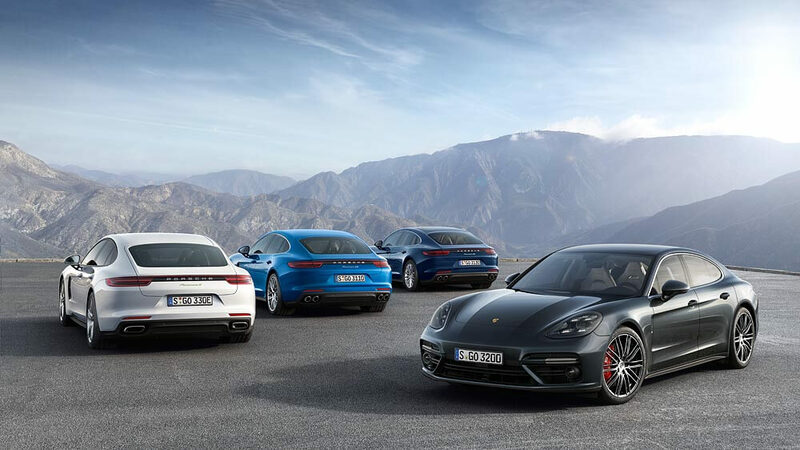 The range now consists of the Panamera Turbo (404 kW / 550 hp), the Panamera 4S (324 kW / 440 hp), the Panamera 4S Diesel (310 kW / 422 hp) and the Panamera 4 E-Hybrid (340 kW / 462 hp system power). These four models represent a fusion of sports car and passenger car to form a Gran Turismo concept offering a unique combination of dynamism and comfort.